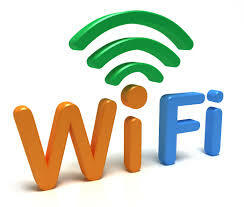 University of Liverpool researchers have discovered a virus that can break WiFi networks. It also spreads like a virus and can attack through Access Points. It is intelligent, locating the weakest points where it can overcome weak security and spread further. The computer science researchers are working on a solution for Chameleon. Meantime, a good VPN like HMA is the best defense. The university computer scientists designed this virus, called Chameleon. The name is appropriate since this virus can avoid detection from run-of-the-mill antivirus programs. This is because Chameleon stays on the WiFi networks and does not travel to devices. The WiFi virus goes from one access point to another . Access points are the gadgets that execute connections between users and WiFi networks. Access points are normally not secured like home or office WiFi is. They may use passwords, but these are generic phrases that are often known by all who have used an ISP’s services. Chameleon can therefore easily get into these networks. The virus then goes for private user data like passwords and other sensitive information and credentials. Chameleon is designed to look for weak points on a WiFi network. It can then very quickly get past these points of weak passwords and encryption. Airport, coffee shop, hotel, and mall WiFi spots are therefore the most sensitive, And the virus spreads very fast in areas where there are a lot of available WiFi connections. HMA can give users premium WiFi protection to avoid having their sensitive data picked up by Chameleon. HMA can encrypt user traffic so that Chameleon cannot get in even when a router is compromised.